I awakened to this when I opened my eyes! I received such sweet letters and emails the past week as many of you shared about your hearts that were lonely. 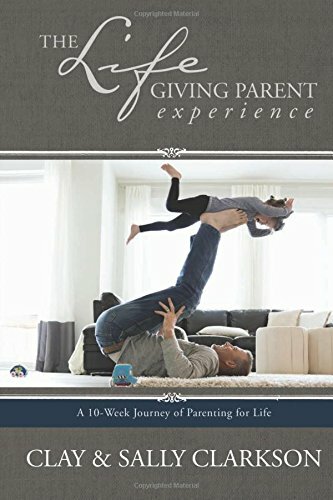 I wrote my article last week, because I have felt it myself --having moved 17 times in our marriage and know what it is like to long for a friend who understands you, prays with you, and also to have your children have such friends. There is a Biblical need and longing for community. Yet, in our day, community is not local as it used to be. It has to be intentionally built and cultivated. In our days of faith-challenging changes of moral foundations and volatile uncertainties, in an era of confusion when biblical motherhood is often disdained or dismissed as irrelevant or unimportant in a post-modern culture, we are ripe for a movement of the Holy Spirit. There is need for an intentional movement of godly women to hold forth the ideals, to inspire confidence, strength, faith and good works and in the midst, to develop deep friendships--as I believe that God created women to be the wisdom bringers, gate-keepers and civilizers of culture through relationship. I have a wonderful friend who is such a joy to me. She is 68, and yet her desire for bringing life and beauty and love to women so burns in her heart that she is almost always alive, energetic and engaged whenever I see her. She has made her home a haven, so that just to be inside her rooms is a pleasure. Soothing colors on her walls, pictures, small relics and treasures through out her home that bespeaks of the many places she has lived and traveled, her love of the Lord, her value for family. And always a candle lit, soft music playing, and a pot of fresh tea ready in case someone might want to come by for a few minutes of fellowship. There is a lovely little room in her basement, just ready for someone who needs to get away--two single beds waiting for the next guest. Every year for the past 15 years, she opens her home to young moms once a week. Her "cupa" is shared, sweet fellowship for the first few minutes, prayer is offered, scripture is opened and taught and discussed as the Basic tenets of the Biblical design of women and mothers is studied and discussed. Literally hundreds of women have passed through her doors in these studies, including me. Each week, women leave with hope, conviction, ideas, love and renewed and refreshed spirits. Where there are real relationships and real love and heartfelt devotion to the Lord, life takes place. God built us for relationship. God built us for love and friendship and intimacy--the desire to be known and still loved. When we as women experience this kind of relationship and warmth, our whole demeanor is different, our emotional and spiritual cups are filled and we become better at everything--walking with God, loving our children and husbands, bringing beauty in our homes and in reaching out with God's grace to others. It is what we were designed to do. One of the reasons I have come to disdain television is that it replicates real life--but it is not real life--there are virtual friends, virtual stories, entertainment is sought to fill the cavernous holes and vacuums in the soul--but it replaces real relationships, real love, real ministry, real service and only placates and dulls the soul. Television replaces visiting and sharing friendship, book discussions, creativity--cooking, painting, sewing, writing letters, articles and books, reading aloud, playing games, having groups and families in the home and so we live an isolated existence. Consequently, Christians have not had an impact on culture--but media has. It has defined the moral values and character of this current generation. But it has not satisfied their souls. Real, hand to hand, voice to voice friendship and intimacy is what is longed for--hoped for. That is why we must figure out a way in the midst of our busy-ness to recreate community and fellowship. We need to connect heart strings from one to the other--and have a helping hand for each other in the midst of our burdens and our joys. I do see an amazing thing taking place amongst many beautiful blogs and websites where women are connected to each other. I applaud the talented women who do such a great job at bringing these loving messages and beauty to each other all over the world. At this time in history, we are able to connect to women all over the world in a moment's time, to love and encourage. Yet, we all need to know that there is someone nearby who is real, to touch, talk to, cry with--to know. Yet, I have learned that often, if this kind of fellowship was going to happen, I would need to be the one who would initiate it. God was an initiator--he came to give, he healed and blessed and taught and sacrificed. It was what we were also made to do. I travel so much that I cannot always do as much locally as I would like, but I have come to really appreciate the encouragement I receive when I open my home from so many sweet, like-minded women. The first Tuesday evenings of each month is something I look forward to with growing excitement each month. About 35-40 women gather in my home and we meet over snacks, fellowship, the word and prayer.This is our third year running. This month, we will all bring our favorite Christmas appetizers or deserts and a favorite mug or tea cup. Christmas traditions will be shared and a devotion about the beauty of the soul and faith of Mary will be given, as together we reflect on the strategic role a mother played in the life of Christ. Later in the week, I will have a luncheon for a sweet group of women who will help me with the Mom's conference here in Colorado Springs. Just meeting for lunch and working on a ministry project together will bring our hearts closer together. I will also have a Christmas tea for a few friends and some friends of my daughters as it is an anchor each year in our lives for the past 15 years. We will have a Christmas open house and invite people we know and people we don't know very well into our home for snacks and goodies, and to get to know some better. There are a couple of more dinners and pot lucks that my children have asked us to have for their various groups. This will mean much more work for all of us, more cleaning, more cooking, more food shopping and preparation and more giving of all of us. And the goal this year is to do it on a strict budget--but I have found that others don't mind throwing their own snack or salad into the mix. This in the midst of the deadline of my book, my boys coming home for Christmas (yeah!!!! ); ministry meetings for Clay and me and out of town company, and so I take a deep breath, knowing it will be quite busy. Not to mention the family Christmas traditions. Yet, it is a commitment we have made--it is work we have decided ahead of time to embrace as a defense against the isolation and separation--the thing Satan would love to accomplish--the isolation and separation of people from loving and connecting and serving one another. I think that when women have this kind of fellowship, they will hold to ideals, grow stronger, and continue to cultivate vision. Spiritual fellowship is essential to spiritual growth and hope. This is why Clay and I started our Mom's conferences many years ago--to give moms a chance to be in a room full of hundreds of others who celebrate these ideals. 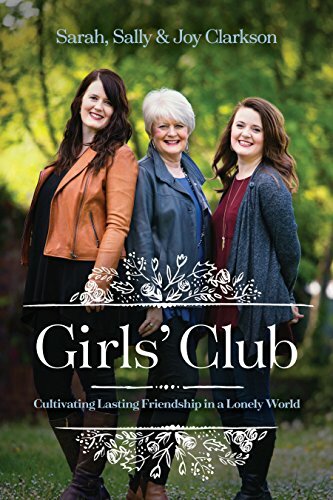 This is why I write my books, based on Biblical principles, with Bible study questions at the ends of each chapter, so that moms will gather in their own homes and do the same thing--experience that amazing fellowship and life that takes place when women take time to open their hearts together. It is why so many of you open your homes and teach small groups in your churches. It is not about being a great teacher or hostess, but about having a heart to encourage. Anyone can light a candle, invite moms over and open the word of God over a chapter of a book. Then, somehow, the Lord take over and friendship and fellowship grows. I know of so many moms who say, "I can't add another thing to my already over-burdened life. Yet, I really believe that most women cannot afford not to reach out as it is a life-line to encouragement and hope. It also brings life, love and hope to a family. Sometimes my house is clean and ready, and sometimes people have to come into my little piles--sometimes there is china and real food and sometimes there are paper plates and pizza. But my goal is love and friendship, not to be Martha Stewart. Some seasons, especially with small children, just a little group was all I could muster--especially during those ear-infected, asthma years--but we still made some attempts every year as a foundational commitment. Some seasons, I have been weary, wondering if anyone would every recipricate--but now, I have grown in this area, slowly, knowing that whether anyone recipricates is not the goal--just having that environment where life is and love is helps my soul. This is where my passion has grown to start the Mom Heart Ministry--to establish spiritual groups of women all over the world who can stand strong together. To train leaders to start groups and supervise and encourage the moms who will also lead.To write devotional resources so that moms can have guidance in knowing how to study the Bible, a website that is geared to this spiritual fellowship and helps and messages and God's design and help. So, in the midst of the many activities this month, make time for fellowship, love, friendship and prayer together. 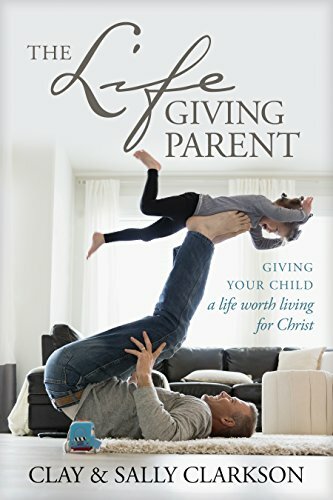 When you model this to your children, they will become lovers of people instead of lovers of things; they will perceive themselves as people who have something to give and serve because they have had to do so in your home. They will learn to have compassion on the downhearted and lost because you made your home a place of refuge for all who would come there. These are the essential things that will fill their souls and satisfy their hearts. They, like us, were made for love and purpose not toys and things and entertainment. They were made to be a part of something bigger than themselves--they learn it by you being involved in others' lives and in your giving of yourselves as a family. It doesn't have to start with something big. I could only do one activity a month when my children were little. But God grew my capacity over the years. He stretched me, he trained me, showed me how to be more efficient. Maybe when I grow up a little more, I will do it all better and give more easily. But it has become such an area of passion for me--to see the connection of real hearts to each other--real support--real friendships even as Jesus shared with His disciples. Have a wonderful week and gather with at least one person or family and celebrate friendship. I prayed for all of you this morning.Peace. PS Be sure to connect to the conference links above at the top right column. Today we will be picking the November winners for the $50 coupon. If you advertise the conferences in December, you will also be entered into the drawing for 2 more $50 coupons to be applied to a conference, book tables or the book store. (Write to Jennice@wholeheart.org if you put an announcement on an email list, facebook, blog or other list!) We want to reach as many sweet moms as possible with the encouragement of our speakers and great fellowship! Thanks for your help. Newer PostCelebrating Life and bringing in His glory!